During the past 200 years in countries north of South Africa, bigger and more sought-after bulls were persistently hunted, leaving behind sub-standard breeding bulls. Fortunately, buffalo herds from the Kruger National Park were well protected from hunters since 1898 and therefore a rich gene pool was preserved. Baobab Nature Reserve is managed according to the National Management Plan for Protected Areas, in cooperation with the department of Environmental Affairs. When a herd of buffalo was reintroduced to the Baobab Nature Reserve in 2005, it was a dream come true for the owners of the reserve. Gerhard Minnaar who is the founder of Baobab Buffalo Breeders is also supported in the breeding operation by his father Koos Minnaar. Koos Minnaar is the founder of the 12 000 ha Baobab Nature Reserve which was formed during the early 1980’s. At Baobab Nature Reserve buffalo can roam free on large areas of natural, untamed habitat. 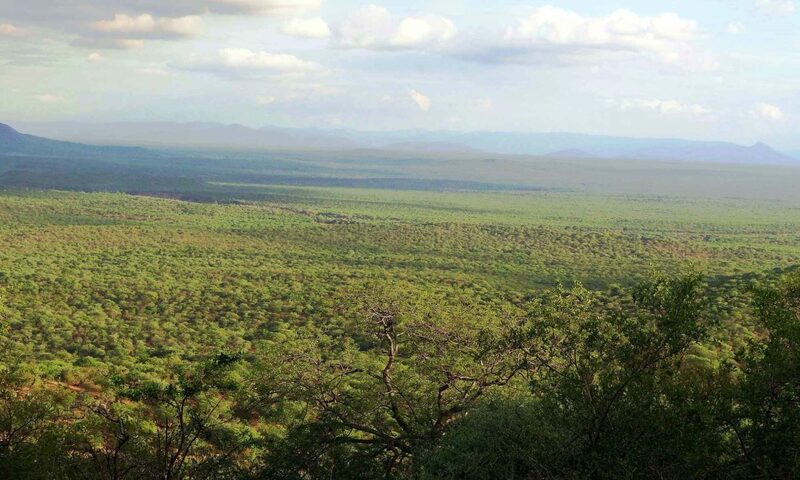 The Baobab Nature Reserve is 12000 hectares in entirety. Inside the reserve there are two fenced-off 1000-hectare breeding camps and a 1000-hectare bull camp. We keep track of the development of each buffalo. Each buffalo has its own file on our electronic database with all related information and photos. Photos are taken of each buffalo on a monthly basis. Keeping records of each buffalo’s development provides us with helpful information for planning purposes. When selling buffalo, we provide the new owner with full records of the buffalo’s development, maternal and paternal history, together with a collection of photographs. Prospective buyers are welcome to visit Baobab Nature Reserve to view our buffalo and other wildlife. The reserve has three comfortable lodges available to guests. Accommodation and visits to the reserve can be arranged with Gerhard Minnaar. Year 2005 – 2010: Young Buffalo were selected and bought from various disease free buffalo breeders across the country. Year 2011: 3 Young breeding bulls were purchased from Klipkamp Buffalo Breeders. The sires of these young breeding bulls both have SCI counts of 130-135 inches and RW of 47-48 inches. This bloodline originate from a specific group of buffalo in the Madikwe Nature Reserve. These young bulls will be used in future breeding programs. Year 2015: As from 2015 we breed with the first of the Klipkamp Breeding bulls: Maximo; named after his sire Maximus.